The murderous dismemberment of the US-based Saudi journalist Jamal Khashoggi has prompted– after an initial phase of “let’s not presume the Saudi bone-saw killers guilty until proven innocent”— subsequent about-face responses from Donald Trump and Theresa May. These responses, like those of the Saudis, are of course attuned in their entirety to the media. Neither Trump nor the Maybot have any real convictions beyond self-promotion (which in the case of the hapless May– taken to the cleaners by the Brexiters in her own party and the implacable eurocrats she has to negotiate with—seems more like a last-gasp attempt at self-preservation). 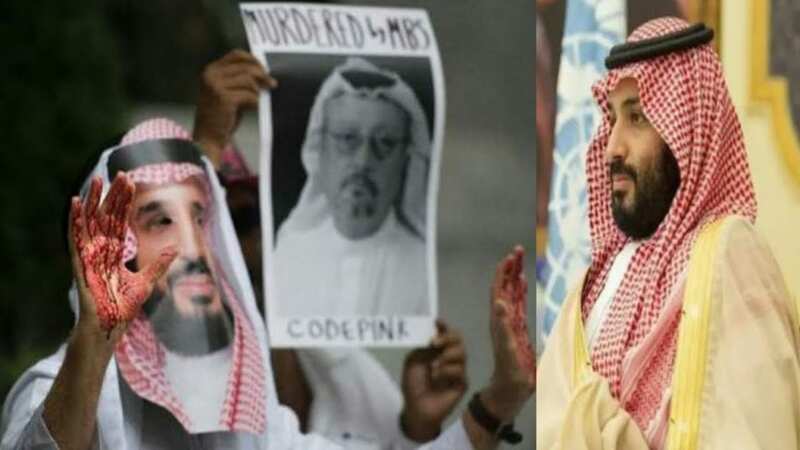 The responses of the Orange One and the Maybot, both initially supportive of the Saudi tyrants during the early speculation regarding Khashoggi’s murder, edged ever so slowly, as increasingly conclusive evidence came to light of the circumstances of his execution, to the current “those who are guilty, and we now know who they are, must be brought to justice”. These responses were an absolute sham from the beginning, since only Ronald Reagan in the long senescence of his presidency, or Dubya Bush in his lifelong imbecility, could possibly have believed that the paunchy Khashoggi was foolhardy enough to get into a fist-fight with a dozen or more “security personnel” half his age belonging to elite military and intelligence units. This of course was the initial official Saudi explanation for Khashoggi’s death. This explanation was greeted with universal derision (the scoffers included such redoubtable fans of dictators as Bill Kristol), which led slowly to the Saudi “updating” of their implausible initial narrative, culminating in their most recent admission that “yes, a crime had been committed, and it was premeditated”. The evolving Saudi strategy is now clear as daylight: while “a premeditated crime has been committed”, the Crown Prince Salman is now in charge of an investigation to find the perpetrators of the very crime he is thought to have commissioned! 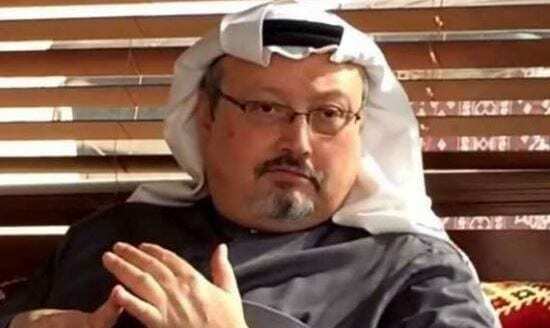 This “investigation” now lays the blame for Khashoggi’s murder on the 15-18 (the numbers vary according to different accounts) “security operatives”, who allegedly went “rogue”, and used their bone saws with no one in the Saudi royal family having the slightest clue as to what was transpiring. In the next few weeks, a few heads will in all likelihood be chopped-off in a public square in Riyadh, with the Saudis hoping this defuses a messy situation. The Saudi death squad include a member of the entourage of former Crown Prince Muhammed bin Nayef, and 5 officials who work for the Crown Prince himself. Apparently these 6 individuals have been given the boot. No Las Vegas bookmaker will be persuaded to lay odds on the Saudi royal family not knowing Khashoggi’s fate ahead of time. It beggars belief that the team of killers included 5 of Salman’s flunkies, and that he had no inkling of what they were going to get up to in the Saudi consulate in Istanbul. The Saudi royal family is famous for micromanaging everything in their kingdom, and it is scarcely credible that a team of individuals, including 6 who work directly for Salman and former Crown Prince Muhammed bin Nayef, would suddenly take it upon themselves to assassinate a US-domiciled dissident in a foreign country known for its antipathy to the Saudis. Indeed the Turkish despot, “Sultan” Erdogan, who is hardly known for kindness towards journalists, is letting out information on a drip-feed in order to prolong Saudi embarrassment. The emerging consensus is that Salman was almost certainly in on the plot from the beginning. One person who shifted his position as the Saudi story wobbled this way and that is Donald Trump. Salman cultivated relationships with Trump and Jared Kushner, one result of which has been massive US complicity in the brutal Saudi war with Yemen. Trump’s responses have zig-zagged like those of his Saudi pals. Trump now says that Khashoggi’s murder “was carried out poorly, and the cover-up was one of the worst cover-ups in the history of cover-ups”. The invertebrate Kushner is still saying that “we must wait and see what the investigation reveals”. Trump’s stiffer line on the Saudis is difficult to take with a straight face. A couple of things could be going on. One is that Trump’s handlers have warned the Saudis in advance that the Orange One had to take a harder rhetorical line because the midterm elections are coming up, and that in any event little else was likely to happen apart from this pre-election burst of hot air. Trump has allowed Putin and Kim to have their way with him, and letting the visibly malevolent Saudis do the same so near an election may have problematic electoral ramifications. Kim has calmed down for now, and Putin is not rampaging through some part of the former Soviet empire, while his presumed team of poisoners seem to be giving themselves a breather. Only the Saudis are thus engaged in ongoing international mayhem. The second is that Salman himself has become something of a diplomatic liability for the Saudis, with the real possibility that he may even be sidelined (if only for a while) by the Saudi autocracy, and that Trump and his team realize that swallowing Salman’s whoppers about Khashoggi’s murder sends the wrong signals to the pissed-off fellow autocrats now dealing with the fall-out of Salman’s misadventure. Saudi royalty is more a clan than a family (hence the former Crown Prince Muhammed bin Nayef is from a different branch of the clan), with rivalries between the branches, and those less impressed with Salman may want him to undertake a spell of “rest and recreation”, at least until the international storm subsides and the Saudis are less in the limelight. One thing is certain: whether it continues to be Salman, or some other despot from the royal clan moved up the pecking-order in his place for whatever length of time, Trump and Kushner will be there to explore further versions of “the art of the deal”. Trump, unsurprisingly, has not so far announced a US arms embargo on the Saudis, and neither has the UK. The orange hypocrite invited Khashoggi’s fiancée to the White House for a meeting. She declined immediately, not wanting to be lured into the photo-op Trump and his minders are craving. But what of the Maybot? The European parliament just voted for a Saudi arms embargo, in which, predictably, the UK’s Conservative group abstained. Somewhere in Riyadh a toast may be drunk, surreptitiously of course given Islam’s prohibitions regarding the consumption of alcoholic beverages, to the Maybot and her fellow Conservatives. Similar toasts will also be drunk to Trump. Given that the Saudis are an ally of Israel, there will be libations in Tel Aviv as well— the Saudis with their mass of weapons will continue to be Israel’s sheriff in the Arab world. A US-UK weapons embargo would also curtail the savage Saudi war against the Yemenis. The French president Macron will however continue Saudi arms sales (saying it would be a capitulation to “demagoguery” to deprive the Saudis of these weapons!). Angela Merkel says German arms sales will cease for now. Mixed messages all round therefore to the Saudis from the so-called “democracies” of the west? So the hideous Saudi tyranny will prevail, for now at any rate.